Appearance: The Cassis pours a heavy pink watermelon, creamy and almost looks like a fruity cocktail and not so much a beer. There's half-a-finger's worth of creamy white/beige head on top that simply isn't going anywhere. Aroma: A light fruity tartness from the cassis, hint of raspberry, a Belgian yeastiness, a bit of a graininess and a hint of perfume. Fairly straightforward and sweet. Taste: The first thing I notice is that the tartness of the cassis pops out immediately giving off a sweet yet sour/tartiness bite to it. A heavy yeastiness is making appearances all over. Hint of dough, raspberry and tastes like summer patio weather. 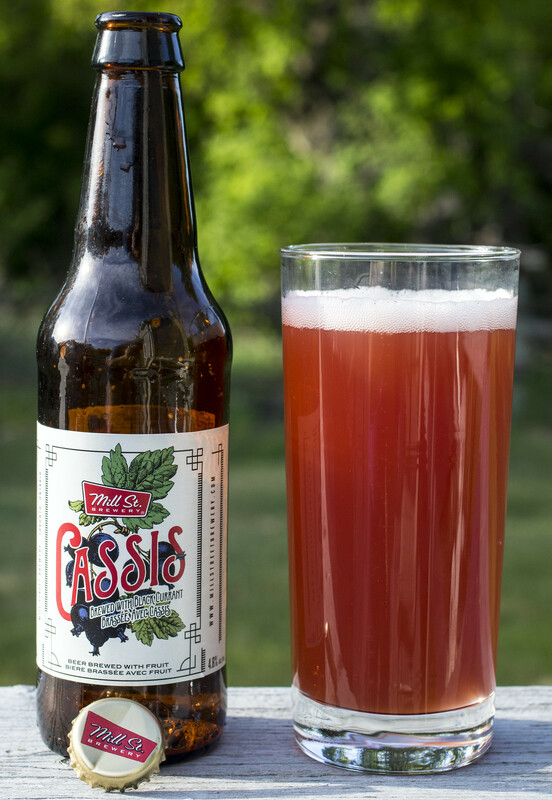 Overall Thoughts: Hmm.. like a Unibroue Éphémère Cassis from way back when, it's fairly faint on the fruitness so I wish there was more of a cassis appearance.. but I'm happy to see a new cassis beer on the market. Certainly heavier than an Éphémère but this beer immediately reminded me of Éphémère the second I started pouring it. Pretty decent fruit beer.